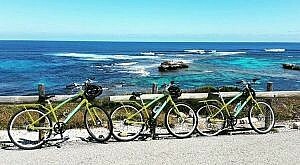 Package includes: Extended Return ferry transfers, admission to an A-class reserve, one nights accommodation at the Rottnest Backpackers and bike hire and snorkel hire for two days. Please note you must be 18+ to stay in the backpacker accommodation. Note: Hire bikes are collected from Hillarys prior to departure.